HeleneL (Grade: A–) I enjoyed this book, as I have all of John's books. There are certain passages that resonated with me, and I will be forever grateful that he managed to write down exactly how certain things feel in a way that I never could. bookdragon221 (Grade: A) I thought this book did a really excellent job of conveying the realities of living with a mental illness. 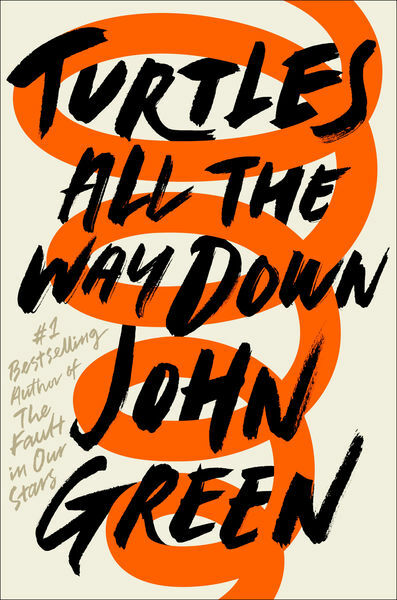 John Green always writes characters that you can believe are real people and he draws you in with their stories. bookdragon221B (Grade: A) John Green does a good job in this book conveying what it is like to live with mental illness on a daily basis. I'm always happy with his characters and their development, and that he writes realistic endings. amcheri (Grade: A) While it didn't rip my heart out entirely, the way I expected it to, I spent the majority of the book riveted. Green does such an incredible job of putting Aza's thoughts on display for us that I couldn't get away. A wonderfully emotional journey. taylorjess (Grade: D) If someone was trying to write a parody of John Green books, this is exactly the book they would write.